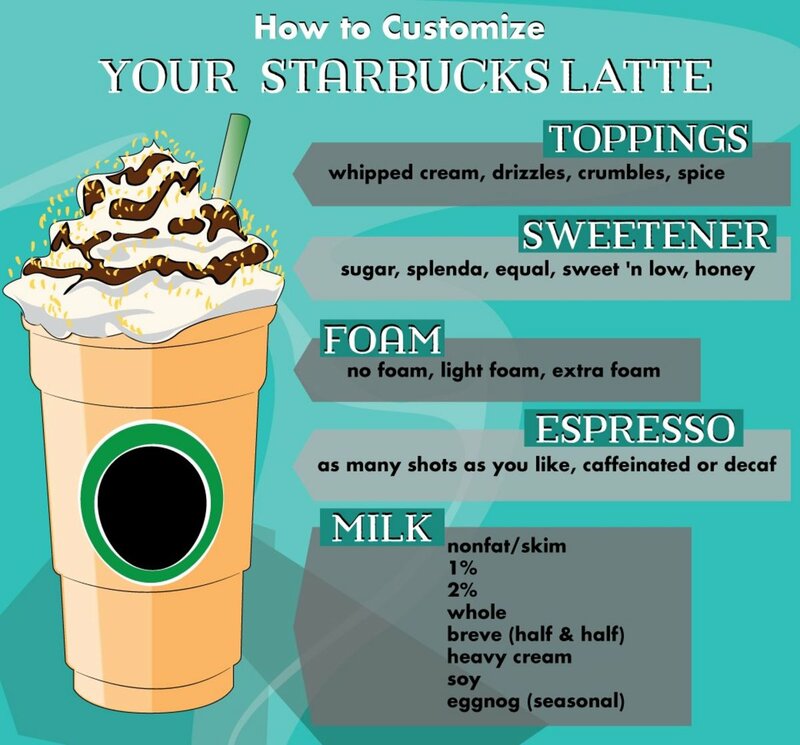 Infographic: How to customize a Starbucks latte. I am a full-time barista and I love what I do. I am going to address some questions that I heard every day about how Starbucks makes lattes. By definition, a latte is composed of shots of espresso, steamed milk, and milk foam. What makes a latte different from other espresso based beverages is not only its ingredients, but the way it is assembled. Starbucks has its own recipe and steps. The components of a hot latte are espresso, steamed milk, and milk foam. 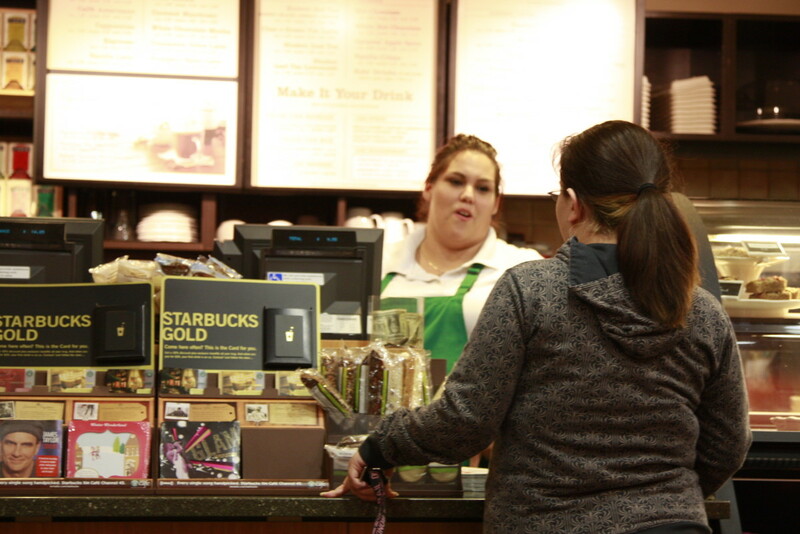 Starbucks baristas use 2% low fat milk unless the customer requests something else. When milk is steamed, it is aerated to create the rich, creamy texture that all latte drinkers know and love. The aerating process actually makes the milk a bit sweeter. Foam is a by-product of this process and it has a unique texture that people tend to either love or hate. The best way I can describe it is to say it's aptly named. It's, well, foamy. A Starbucks barista makes a latte by pouring shots of espresso directly into the cup. Then they pour in the steamed milk and finally top it off with a spoonful of foam. The espresso and the steamed milk completely mix together and the foam adorns the top. An iced latte isn't terribly different. Simply put, cold milk substitutes for steamed milk and ice for foam. Shots of espresso are poured directly into the cup, cold milk is added, and the beverage is finished off with a scoop of ice. A plain iced latte might not be quite as creamy or sweet as a hot one, since the milk is not steamed. Baristas use 2% low fat milk unless another type is requested. The lines on Starbucks iced drink cups help ensure consistent iced lattes. After the shots are poured, your barista adds milk up to the top line and then fills the rest of the cup with ice. If you ask for light ice, they will half the amount of ice and add more milk. How Many Espresso Shots in a Starbucks Latte? How Much Syrup in a Flavored Starbucks Latte? A pump of flavoring syrup is 1/4 oz. A pump of flavoring sauce is 1/2 oz. While the table above shows the standard amount of syrup for each drink size, baristas can adjust the amount upon request. Flavors can also be mixed. For instance, Starbucks doesn't actually offer a French Vanilla flavor, but baristas can make it by mixing vanilla and hazelnut syrups. The basic latte. 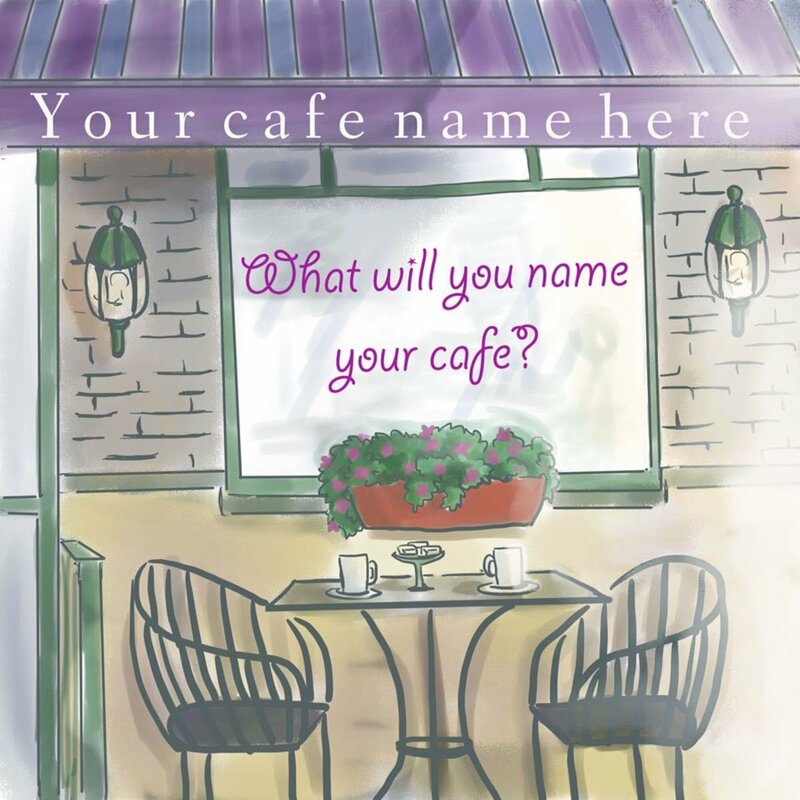 Order a latte or a caffe latte—either way your barista will prepare you the same delicious drink. The same as a caffe latte but with any of the flavored syrups listed above. Made with nonfat milk and sugar-free syrup. The most popular flavored latte. A basic latte with Cinnamon Dolce syrup, whipped cream, and Dolce sprinkles. The same drink as above but with skim milk and sugar-free syrup. 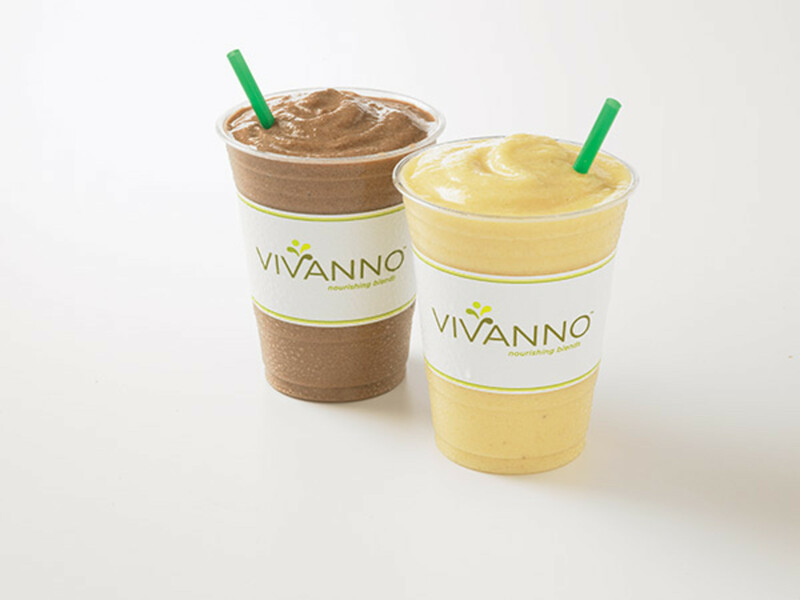 Let your barista know whether you want the Dolce sprinkles or plain cinnamon. As many shots as you like! In addition to asking for as many espresso shots as you like, you can request any of the above types of milk, specify how much foam, and even ask your barista to mix your sweetener in for you. Whipped Cream Starbucks baristas make the whipped cream in-store with heavy cream and vanilla syrup. It's not whipped by hand, but it is fresh and delicious. Generally, adding whipped cream to a latte means the foam will be left off. Caramel Drizzle This sweet, thick caramel sauce is standard on a caramel macchiato but can be requested for any drink. Mocha Drizzle The same sauce used to flavor a mocha, this is a nice addition if you're looking for just a little bit of chocolate. Dolce Sprinkles A delicious combination of cinnamon and sugar. Caramel Brulee Topping Crushed hard candy with a smoky, caramel flavor. Chocolate Curls A seasonal holiday topping made from dark chocolate. Sea Salt I've never had someone ask for this without the Caramel Drizzle it's usually paired with. The combination is amazing and definitely my favorite topping. Pumpkin Spice I'm told that this powder is made of traditional pumpkin pie ingredients. Molasses Drizzle A very strong flavor! 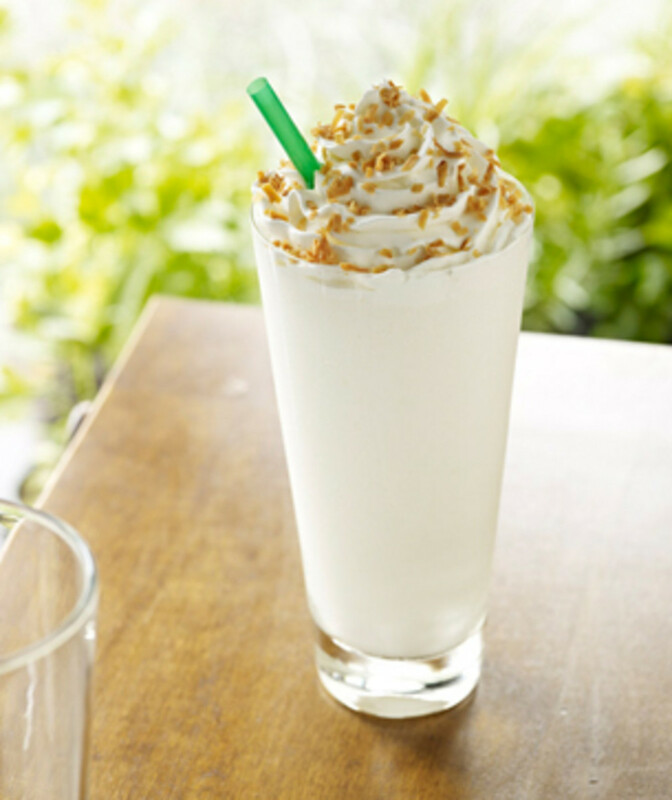 Italian Roast Drizzle A sweet yet super coffee-flavored drizzle that seasonally tops the Cafe Espresso Frappuccino. Cookie Crumbles Little pieces of chocolate cookies, this topping usually accompanies the seasonal Mocha Cookie Crumble Frappuccino. Caramel Crunchies I'm not sure what else to call these, but they top the Caramel Ribbon Crunch and give it the crunch! Flavored Whipped Cream Starbucks offers flavored whipped creams seasonally. Chocolate is usually available in the summer, spiced with gingerbread during the holiday season. Caramel and espresso flavors were introduced in 2014. Brulee means burnt, but I prefer to describe the flavor of this drink as smoky or toasty. Cream, sweet, and decadent, this drink is super popular. Topped with whipped cream and bits of candy, Caramel Brulee lattes are available starting in November. Some say this drink tastes like a gingerbread cookie. 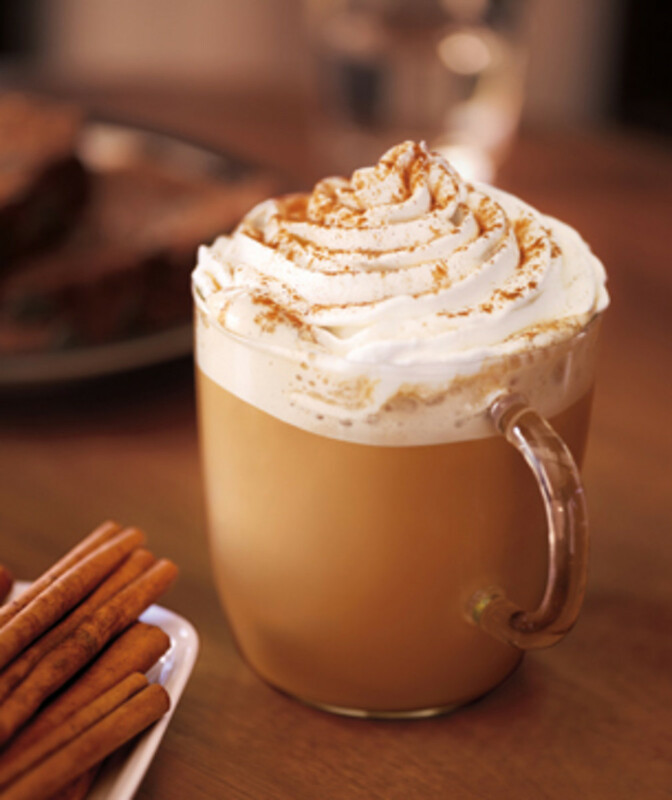 Simply gingerbread syrup blended with espresso and milk, Gingerbread Lattes appear around October or November. It comes with spiced whipped cream and a molasses drizzle although some customers ask for no drizzle. Made with espresso, eggnog, and 2% milk, this is the only seasonal latte that is topped with foam instead of whipped cream—along with a dash of nutmeg. The syrup for this flavored latte is more like a thick sauce, so this drink is creamier than a standard latte. Frequently requested when it is not in season, Pumpkin Spice lattes comes with whipped cream and a special powder on top. And that's all about Starbucks lattes! I'm a little amazed I could limit myself to only one terrible pun. Enjoy your next latte! How much espresso is used in a grande iced latte at Starbucks? The espresso shots are measured automatically by the espresso machines. Two one ounce shots of espresso go into a grande drink. My friend substitutes sweet cream for milk in her lattes. I tried it and loved it. What is sweet cream, and more importantly how many extra calories are we talking if I add it to a grande compared to 2% milk? I’m not sure what sweet cream is, but my guess is it is heavy cream. To give you an idea of the calorie count, one cup of heavy cream has 821 calories, and one cup of 2% has 103 calories. How much soy milk in a tall latte at Starbucks? The best estimate I can give is between 8 - 10 oz. The measuring equipment baristas use doesn't give an exact amount, but I know an espresso shot is 1 oz, and a tall latte gets one shot. The total size of a tall drink is 12 oz, minus the 1 oz for espresso, minus the foam and room left at the top. If you add syrups, it would mean a bit less milk, as well. How many grams of sugar is in a Trenta green tea lemonade with three pumps of syrup? My best estimate is around 30g of sugar. This might not be right on the nose, but I can tell you that a lemonade of that size has between 20-22g of sugar. I did some math to try to figure out how much sugar is in a pump of syrup, so I think 30g is close. Which Starbucks syrups are certified Kosher and from which agency? I can't be sure what the standard of milk is in other countries, though that is something I'd like to research so I can list that information. I do know that on the Japan menus, it lists that nonfat or fat free milk can be substituted at no cost, so I would guess that either 2% or whole milk is the Japanese standard. milk the standard milk used in all countries? I am in Japan. If I don't specify what kind of milk what will I get in a latte? Is 2 percent milk the standard milk used in all countries? I am in Japan. If I don't specify what kind of milk what will I get in a latte? I bought an iced vanilla latte with soy milk I loved it but I don't want to get addicted to espresso. And I was wondering if there's a name for the drink I ordered that has no espresso in it. Hi! I'm on a Ketogenic diet so I've been ordering plain lattes made with half heavy whipping cream and half water. How much heavy cream do you think they are actually putting in a venti? Also, is this a drink Starbuck's baristas should be familiar with? Would there be a name for It? Thanks for our Starbucks know what you are drinking guide. Who would have thought having a drink would be so complicated. Over Christmas I was going for the eggnog coffee, wow that was so good, but forget the diet. Thanks for your work on a good hub. Question: is each shot a single or double? If it's a double, then for example, a grande would have 4 oz of espresso? And how much milk goes into a hot tall latte and a grande latte? I know the oz in the finished product, but want to know how much milk to steam for each size. Thanks. I wonder if I ordered my latte with extra foam, does it means I can't get "for kids" temperature? I always order a chai tea latte at Starbucks, however it's always too weak. Do I ask them to double the syrup? Great article - thank you! I have been wondering how they get the pumpkin flavor in there. What kind of espresso would you recommend using for trying to replicate at CDL at home? If I bought the CDL syrup at Starbucks, used the same type of milk (non-fat), the only thing I'm missing the the type of espresso. Thanks so much for this page. SO extremely helpful!! Thanks for leaving such a thoughtful comment. Lately, Starbucks has been trying to recapture some of the cafe artistry that has been missing from their stores for a long time. They've released starter courses available to all baristas to learn the basics of latte art. My store had a lot of people interested in learning, but it's not a requirement, so it's something baristas would have to do on their own time. As much as I am an avid fan of Starbucks, I think there are just some things that will always set it apart from Indie Latte Shops and private cafes. There is a pressure from both the company and customers for us to move quickly. I think that we provide a great product, but certain nuances are lost in the rush. Even the baristas who learned to do Latte art tend to only do it when the store is slow, or for customers who are having their drinks 'for here'. That being said, I would suggest you try a Flat White. The baristas at my store take more care with aerating their milk than you have described, but that's not to say that I haven't worked with people who don't pay enough attention to the process. The Flat White introduced baristas to a slightly different way of steaming the milk that gives us a more consistently silky foam, and I think the ratio of the drink could be perfect for you; it will definitely have more foam than a Starbucks Latte, but it will not be as light as a Cappuccino. Thanks for the informative summary on Starbucks' Lattes. Sure wish the typical Starbucks latte looked like the "creamy and delicious plain latte" picture. Agree with you that the amount of foam in the latte is a matter of taste. But usually Starbucks lattes have either no foam, or barely one tablespoon of foam! I seldom see the busy baristas take the extra time to lovingly add a bit of air into the frothing process. So I make a special order by asking for "extra foam", as you mention. But that leads to inconsistent delivery: most often a really "light" drink, with as much as 1/2 of the drink being foam. I guess I am just using the wrong terminology. So, when I ask for "heavy foam", as you mention, the barista does not know what that means. Instead of the thick, sweet, "heavy foam", the barista heats the milk longer, ending with a "sour" tasting latte, like the milk was curdled or burned (IMHO). And the latte is just too hot to drink. Any suggestions on exact terminology to use to get that fantastic "heavy foam" in my Starbucks Latte? One nicety that Indie Latte Shops provide is beautiful "Latte Art" ... Leaves/Dragons/Roses/Swans. We wonder if Starbucks will ever have their talented baristas add that artistic flair to the top of their lattes. Customers may then be more likely to endure long lines, higher prices, and extra calories to get that personalized, classy, high-end drink with that artistic "latte art" touch. That would be great for $business$! Lastly, a while back, Starbucks decided to eliminate the popular Almond flavored syrup. It is surely missed. But the seasonal (Christmas time) Eggnog Latte you mention are always outstanding. I'm not a big fan of the pumpkin spice latte myself! It's a very popular drink, but I've never been wild about pumpkin flavored things. It IS a very rich, very sweet drink. One time I tried the pumpkin spice latte and I didn't care much for the taste. I thought it was too rich for me. 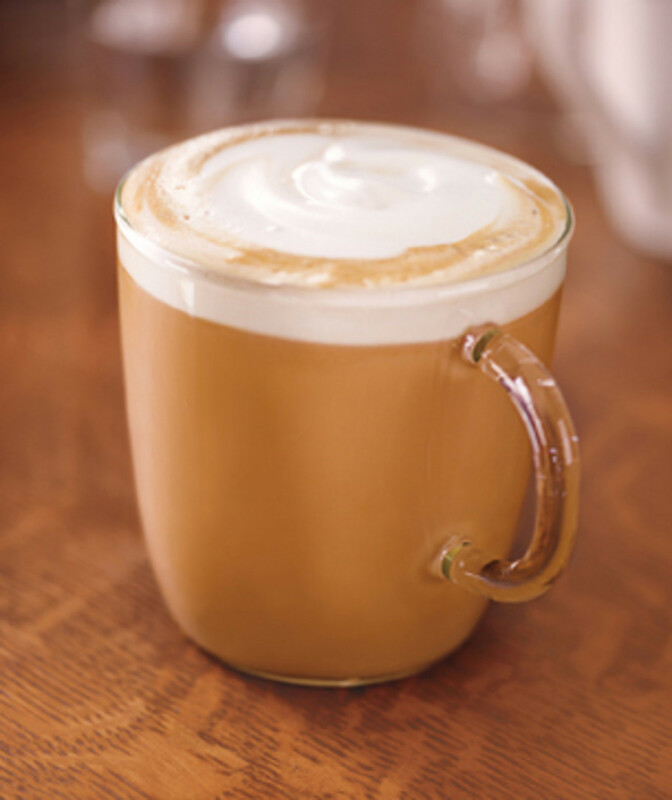 Our Soy Latte should definitely only be Soy Milk and shots of espresso. The added sweetness could be a barista making an error - I would be especially cautious if you are ordering drinks from a licensed store, like those located in grocery stores, Target, Barnes & Noble, etc. 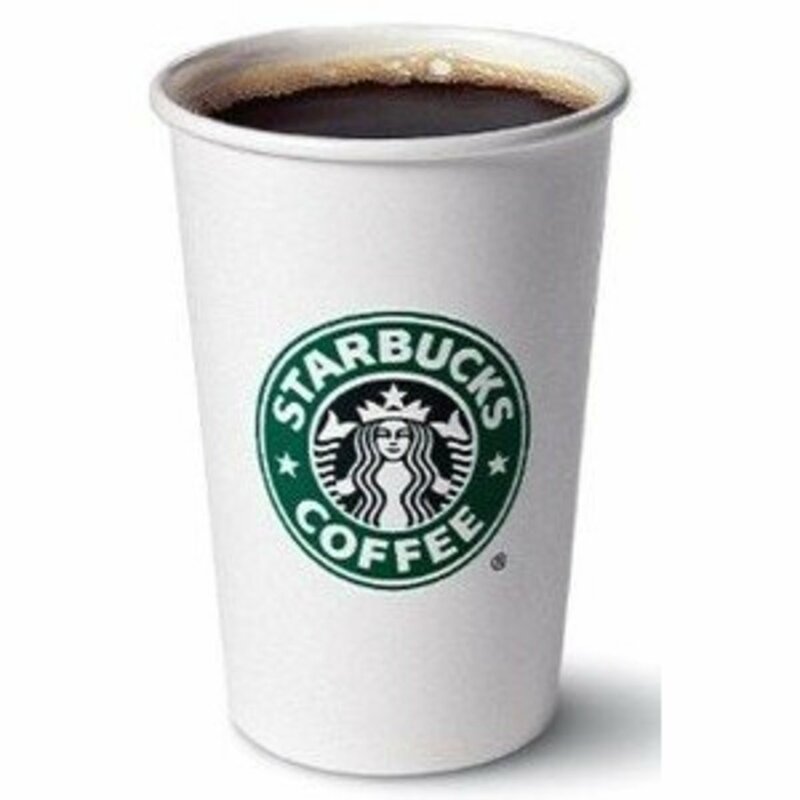 Licensed stores have access to Starbucks product, but they do not receive the same training there as at our corporate stores. The price of a Latte is actually cheaper than the price of a Steamer with shots added - at least in my district. Unfortunately, Starbucks recently allowed stores to begin adjusting prices based on region, so the pricing has become a lot less uniform. I'm a new barista and this hub has been very helpful!! Thanks so much, I am sure this was a chore to put together!! Thank you so much for creating this helpful guide! I work at a Kroger and was just moved to be cross-trained at our Starbucks. I am still in the process of learning, and sometimes I freak out when I am left alone and customers come up ordering drinks that are not on the menu. I can make all of my favorites ( white chocolate mocha with soy milk, caramel mach, etc ), but the number of pumps and espresso shots totally throws me off. Can you tell me if a soy latte has added sugar (beyond what's in the vanilla soy milk they use)? I usually order a triple soy latte (because I want a stronger coffee taste) and sometimes it tastes sweeter than other times, and I'm wondering if some baristas add pumps of syrup to the drink and others don't. It sounds like from your article that it should just be soy and espresso, which is what I'd want. Thanks! I found a recipe for a latte online, but it said it was a steamer with 3 pumps each of caramel and cinnamon dolce, with whip and salted caramel flakes, then add espresso...I'm just wondering if you know if it's cheaper to order it like that or order a caramel latte with cinnamon dolce syrup as an add on...I've been charged very different prices at different stores for this same thing so I was just wondering the best/easiest way to order it. I love Starbucks! I haven't been there in awhile, since I used to have my job search meetings there with my job counselor. I love their drinks, esp. their lattes. This is a handy guide! I tried the Colombian espreso, it was really good, sweeter than the standard blend. 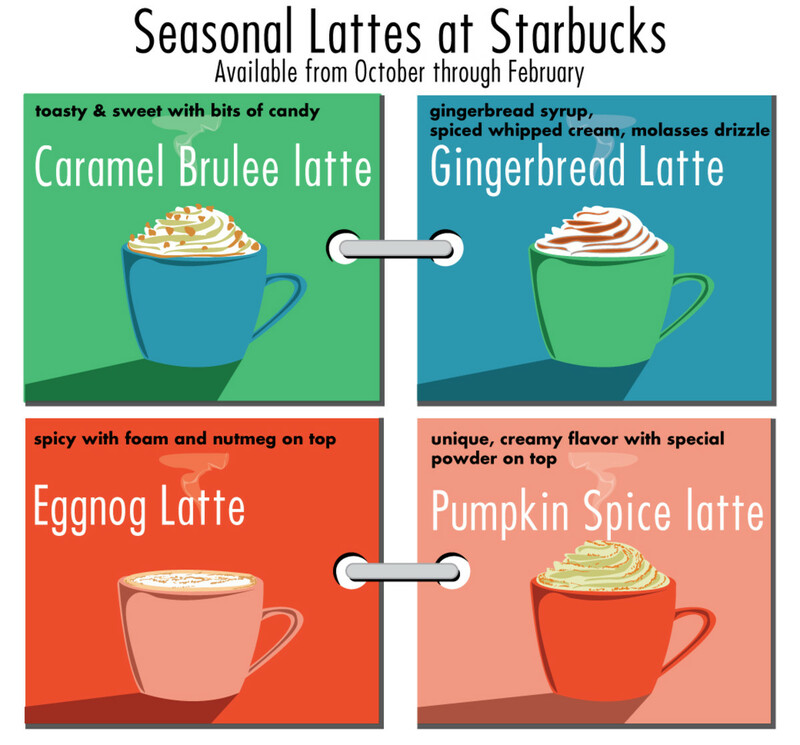 That's so upsetting that Toffee Nut is seasonal! Do you have any kind of cinnamon flavor? I wonder if the barista you asked for a Misto just didn't know what it was. There's drinks that aren't very popular in certain markets, but still exist on the menu. Even if there's not a button for him to ring it in on the register, I think it would be very doable - half coffee, half steamed milk isn't a tough recipe! It's really strange, I went to a store near London, the other day, and asked for exactly that-a Cafe Misto, and was told that they didn't have it, it wasn't even on the menu, but if you go onto www.starbucks.co.uk, it's there, under the filter coffee's, so that's kinda weard. I also asked for a double ristretto Latte, and I sware the guy thought I was nuts,or something, also toffee nut is only a seasonal flavour here, nooo! and the dolce doesn't exist here. thanks for the info, once again. your right about the capuccino's, and to some extent the lattes, because I had a vanilla latte on my birthday, and the foam was so thick, it was literally like icecream, it was just like floating on top of the milk. I'd love to check out the international menus Starbucks has. I know there are things we don't have in the States that other places get, and I've learned a lot about what's not available in England through writing these hubs. I was so surprised to find out you guys don't have iced teas on your menus! A flat white is less milky than a latte. To me, it tastes like a strong cup of coffee with just the right amount of cream. It is a very smooth and silky beverage. Sometimes, with our cappuccinos, I find that there's a clear separation of milk and foam as I drink it, and the foam feels more cottony on my tongue. The flat white doesn't separate like that, but it's silkier and lighter than a latte. You can absolutely do a double ristretto in an Americano. I prefer ristretto shots in most of the drinks I make for myself, because it eliminates some of the smoky flavor of our espresso roast that I'm not too fond of. You can add cold or steamed milk to an Americano. I think this is a great idea if you think a latte is too milky and an Americano is too plain. There's no additional charge (at least in US stores) to add a topper of steamed milk to a coffee or Americano. We can do an Americano Misto-style, which is half Americano and half steamed milk, but there is usually an up-charge for that option. What exactly is the difference between a flat white and a latte, apart from that it has microfoam? Is there any reason you can't have a double ristretto in an Americano? Is it also possible to add milk to them? I'm just experimenting, because I don't always want so much milkiness. Your so lucky over in the states, you get all of the syrups you listed, in England, you can't find things like Toffee Nut and Cynnamon Dolce, at all, never mind the sugar free ones. Though I persnally describe ristretto as sweeter and more pleasant than normal shots, Starbucks says they provide a more intemse coffee flavor. You may consider trying out the new Flat White, which definitely has more coffee flavor than a latte. If two shots is not strong enough, we could definitely do three! Ristretto shots pull 2 at a time because of how our machines work, but it is easy enough for us to just put three instead of all four in a drink. Thanks again for the helpful advice, it's awsom, really. I take it the flavour of a double ristretto latte will be different to that of a normal espresso? is there any reason why you couldn't have a tripple ristretto latte, if the double one didn't have enough flavour? at the minute I've tried a latte with one shot normal, and I can bearly taste it. On the other hand, I've also tried it with two, and it's a little too strong, but it may be different with ristretto? Once again, I'm so sorry for your loss. I wanted to thank yu for the extremely informative guides, they've been incredibly helpful in making a minefield perfectly understandable. Is it really true that a Ristretto is sweeter and less bitter than a Normale Espresso? I was wondering if you can put a double Ristretto in a Latte? and wanted to know whether you can get quad Ristrettos? If I wanted to make a Latte at home, and wanted to get the milk sweet as it is when it's steemed at the store pluss froth, would I get the results i'm looking for with a frother, handheld or electric? Ristretto shots have a very different flavor from the normal shots. To me, they taste sweeter and less smoky than our normal shots. I don't love the flavor of our espresso roast in a normal shot, but I really enjoy it ristretto style. We can do ristretto shots however you would like them! You can definitely get a double ristretto latte, and we can do a quad shot of ristretto. I haven't experimented with frothers at home, and unfortunately, the store I work for has never carried them. My gut instinct would be to recommend electric, since our espresso bars use this method, but I have not personally tried a frother at home. "What would you recommend for someone who doesn't like the taste of coffee? I'd like something milk-based, with a flavoring like caramel. I like the extra kick I get in the morning from the caffeine, but I hate the taste of coffee." My best recommendation would be a latte. There are shots of espresso in this beverage which give it some coffee flavor, but it is not overwhelming. If this still tastes too strong to you, you can try adding extra caramel. A venti size might be a good thing to try - there are 2 shots in both the grande and venti, so the venti just has more sugar and milk than the grande. "Is that amount of espresso shots still being used? I saw a post in starbucks blog that that they where going to change the quantity of espresso shots in their drinks, 2 for tall and 3 for grande. This is not true. I think this rumor may have been started because we are launching a new drink, which is our version of the Flat White. This new drink has more shots of espresso than a latte. It has 2 in a short, 2 in a tall, 3 in a grande and 4 in a venti. This was an awesome hub! Starbucks used to have a drink called the Mocha Valencia--it was a mocha with orange syrup, and it was awesome. Unfortunately, they stopped carrying that one, and I miss it. Jeezus Mandination...I am so terribly sorry and sad. My condolences. Your hub is indeed cool and helpful. I'd like to apologize to everyone who asked questions over the past two months. My father was very ill and unfortunately passed, so I took some time away from hubpages. I will respond to all of the questions I missed asap! Thank you a for reading and commenting! Loved this hub! Once a week, my husband and I treat ourselves to a Starbucks drink. We're both lactose intolerant, so we have to order soy. And sometimes we request other customizations like no foam, half-caff, etc. I always feel like a jerk for making the barista's job more complicated with all of our requests, but this hub makes me feel a little better about our customizations. Thank you for the information! I have to say that Starbucks has always been my go-to coffee shop, wherever my travels take me. I was looking for the information on steamers/creams you said you would get to in another of your guides -- did I miss it? What would you recommend for someone who doesn't like the taste of coffee? I'd like something milk-based, with a flavoring like caramel. I like the extra kick I get in the morning from the caffeine, but I hate the taste of coffee. Is that amount of espresso shots still being used? I saw a post in starbucks blog that that they where going to change the quantity of espresso shots in their drinks, 2 for tall and 3 for grande. A great topic for a barista to write about! Well done. Thank you so much for your kind words. I'm so happy to be able to help new baristas outside of my own store. It can be really tough to understand the menu and terminology when you're first starting out, and while the Starbucks training model is good, there's a lot you're expected to learn while you're actually working the bar. I'm so glad my guide could help! I just wanted to take the time to thank you for this guide. I'm a new employee at Starbucks, and I have found it quite difficult to remember the various recipes and understand the terminology used at the store. Starting out, I barely even knew the difference between a cappuccino and a latte. The barista side of things has been especially tough. Just today I remade a macchiato that a customer wasn't particularly pleased with . . . I wasn't very happy with myself. Your guide has been exponentially helpful to me. I can at least go to work with some confidence in my head thanks to your clear-cut and comprehensive explanations. I wanted you to know that I appreciate your work sincerely and offer my support for your blog in return. YOU ARE A LIFESAVER. I'm on my 4th day training on the floor at Starbucks and I was hopelessly confused on how to make all the drinks. This helped immensely!! Thank you so much!!! It's tough to replicate the taste of the Caramel Brulee. My personal favorite concoction is a mix of Toffee Nut, Caramel and White Mocha. I think that this comes the closest. For a Tall, I would to one pump of each. In a Grande, I think I would do 2 White Mocha, 1 Caramel and 1 Toffee Nut. The White Mocha helps to make the drink creamier like the Caramel Brulee is. I came across your website while I was trying to google how to make a carmel brule latte. I am so glad I found you! Hopefully you can help me. I love the carmel brule latte but I just went to order my daily starbucks and I was told the syrup expired so they no longer offer the drink. That was the only drink I like at starbucks . I tried having them make me a latte with a pump of carmel and a pump of toffee nut. It tasted kind of like it but I felt it was missing an ingredient. I'm not a huge carmel fan when it comes to coffee but I love the buttery flavor the brule has. 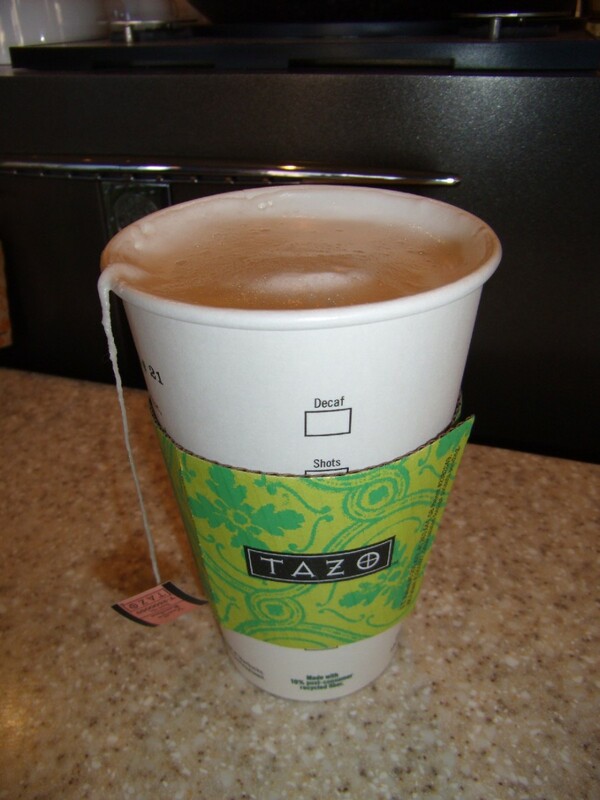 What flavors would you recommend for a tall or grande carmel brule latte? My go-to recommendation would be a skinny vanilla latte. You could go with a higher fat milk if you like, or even substitute regular vanilla instead of sugarfree, but the skinny vanilla is a great low calorie option that a lot of people like. I recommend it not only because I like it, but because my sister, who likes things less sweet than I do, is a fan as well. It also emulates the taste of the vanilla soy. 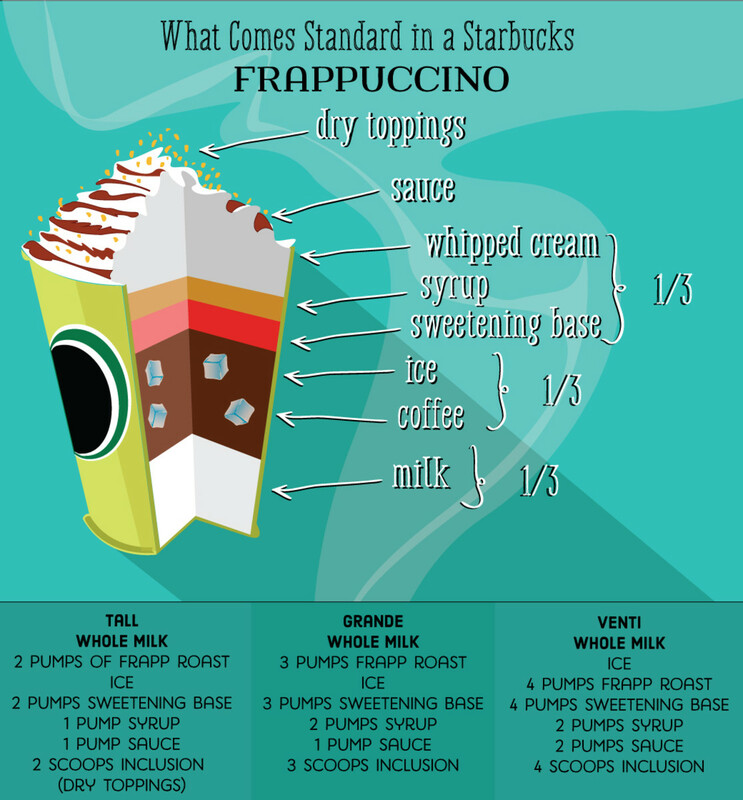 :) Since you are used to drinking your latte with no syrup, I'd suggest you try it with half of the pumps to start. We can always add more! I'm just estimating, but I think it would be something like 6-6 1/2oz. I know that one shot of espresso, which is how many go into a short, would be 1oz. We would only put 2 pumps of syrup into a short, and I think that's about half of an ounce or an ounce. This was really informative, thanks for posting! I am a big soy latte fan, I just love the taste of the soy. But, lately they have been too sweet (with the sugar from the soy milk) and I'm concerned about drinking too much soy. Would you be able to recommend a latte, with milk, and a flavoring that isn't too sweet? Super helpful! Now I know to have them use less syrup flavor! No idea how much they put in! Not once the steam has expanded it - I'm asking how many cold ounces are going in there to start with. I always get a short sf cdl latte made with heavy cream and no whip. Any idea on how many ounces of heavy cream go into a short? Our drinks can definitely get pricey. I think we do okay with the plainer drinks, like the cups of coffee and no-frills lattes, but when you start adding extras, it can get expensive. 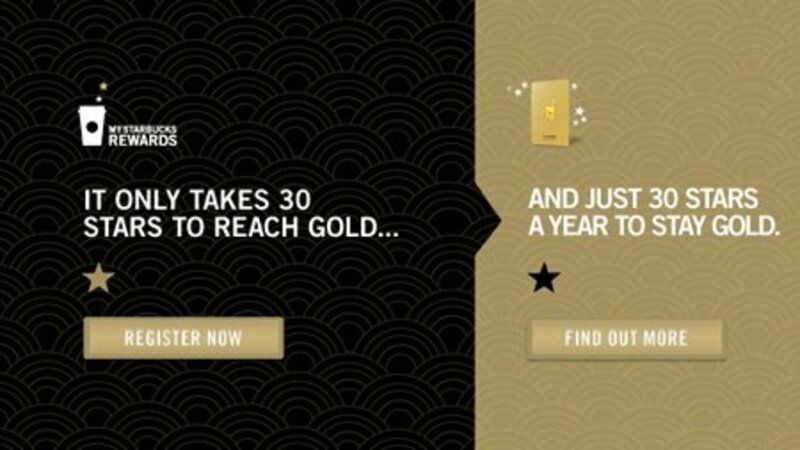 If you like some of the plainer drinks, you might want to look into registering a card - once you make enough purchases (and it can be a small coffee or plain latte, if you like) you earn points towards rewards drinks, which can be anything crazy you like! Okay, no worries. I will just experiment a bit more :) Thanks for the reply! Tara - Unfortunately, I think there's a good chance they made you a latte with either combination of Vanilla and Hazelnut. I know that in the area where I work, it's much more likely that we would do 1 1/2 pumps of each vanilla and hazelnut. We do this because this is how we make French Vanilla when people ask for it. However... since it is not an actual menu item it is difficult to tell. I think that if you asked for Vanilla and Hazelnut instead of phrasing it as French Vanilla, your barista probably put 3 pumps of each. I'd recommend trying it this way first. Keep in mind that we love to make our customers happy! If you let your barista know, they might have a suggestion that's a better guess than mine, since they work in the area. Also, if I'm wrong and it's too sweet, you could also request for your drink to be remade. Thanks so much for making these guides! I've never liked coffee itself but I've liked dairy products weakly flavoured with coffee like coffee yoghurt or coffee ice cream. You would think I would like lattes then but no, even that is too strong a coffee taste for me! However, after reading your guide I realised I could ask them to make it with half espresso and I did and it was really tasty. The first coffee drink I've actually enjoyed and I think I'll be ordering them a lot more in future! I also asked them to put syrups in, I chose Vanilla and Hazelnut. But would they have put 3 pumps (I ordered a tall drink) of each syrup, i.e. 6 pumps altogether, or 3 pumps altogether split between the two flavours? I'm wondering because if I chose a single syrup in future I don't know whether it would be half as sweet or the same sweetness as two syrups. The tall size drink has 12oz all together. Minus the espresso, mocha syrup and whipped cream, my best guess would be that it ends up being about 8oz of milk. This is delicious. I am always looking out for nice ideas like these and this Starbucks Drink seems so cool. I will definitely try this one out. How much milk do they put in a tall cafe mocha? You can add those toppings to iced OR hot lattes :)! The drizzles and a seasonal toppings will have an extra charge, but whipped cream is always free. So, is it alright to add toppings like whipped cream to iced flavored lattes? I thought you could only add them to frappucinos? THANKS, i just got hired at a starbucks and wasn't really trained on how to make drinks or what is in what drink, your series really helped :) thank you!! So I just bought a kreug coffee maker and I wanted to make an iced skinny vanilla latte. I bought the vanilla syrup and some expresso k cups. I was just wondering how I could make one and what steps to take. I have a cup about the size of a venti. Just really need to know how much milk and syrup to use and when to add them. Thanks for any help or suggestions. I LOVE The Caramel Brulee Latee!!!!! I have to say its a pricey as I think all of their drinks are but it doesn't even matter how much it costs, as soon as it comes on the menu I am there until the last day they serve it!!!! wow! i love stopping by starbucks once in a while for green tea latte. very informative hub!